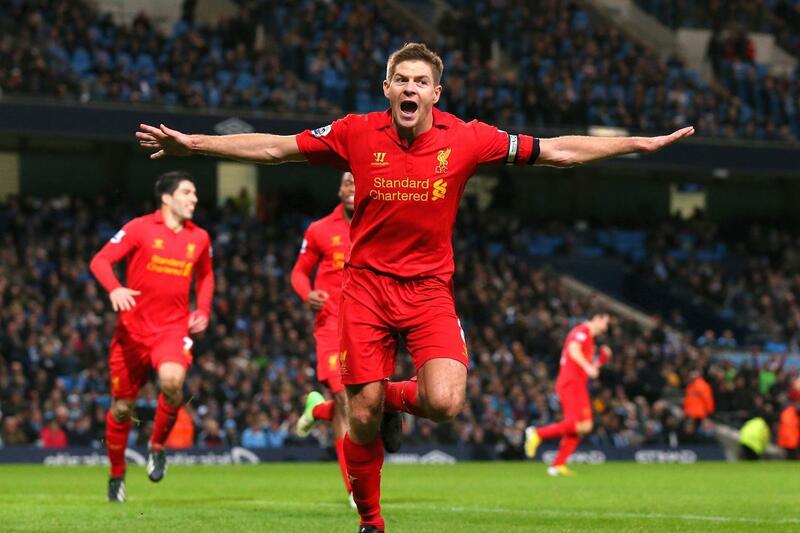 Steven Gerrard is an English footballer who plays for Liverpool F.C. and the England national team. He is usually employed in the central midfield role, although he has also played as a right-sided midfielder and a second striker. Gerrard, who has spent his entire career at Anfield, made his debut in 1998 and cemented his place in the first team in the 2000-01 season, succeeding Sami Hyypiä as Liverpool team captain in 2003. His honours include a pair of FA Cups and two Football League Cup wins, as well as the UEFA Cup in 2001 and the UEFA Champions League in 2005, following Liverpool’s comeback in the final. He made his 100th appearance in European club competition for Liverpool on 10 March 2009 against Real Madrid and scored twice in a 4–0 win. Four days after the impressive victory over Real, Gerrard would score at Old Trafford for the first time from the penalty spot, putting Liverpool ahead on their way to a 4-1 victory over Manchester United. Following these results, three-time FIFA World Player of the Year Zinedine Zidane hailed the Liverpool skipper, saying “Is he the best in the world? He might not get the attention of Messi and Ronaldo but yes, I think he might be.” On 22 March 2009, Gerrard scored his first ever hat-trick in the Premier League, against Aston Villa, in a 5-0 victory.